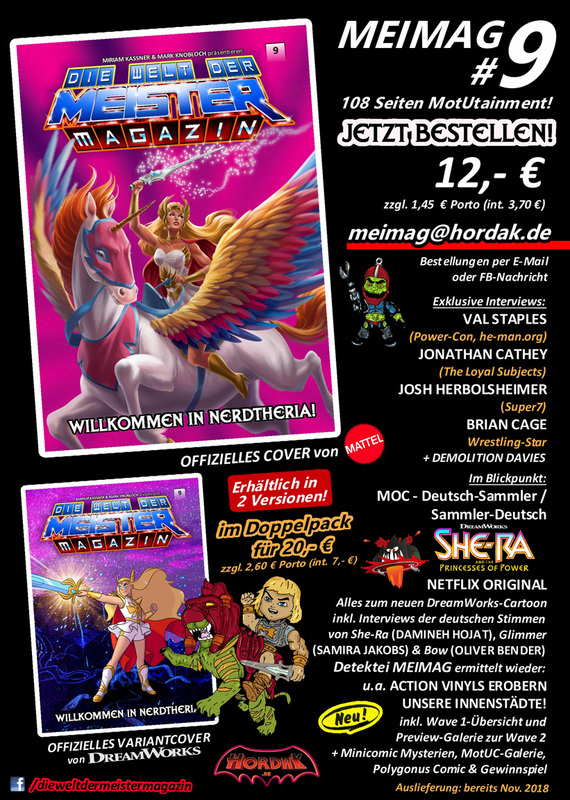 Issue 9 of the magazine Die Welt Der Meister (The World of Masters) is now available for pre-order! 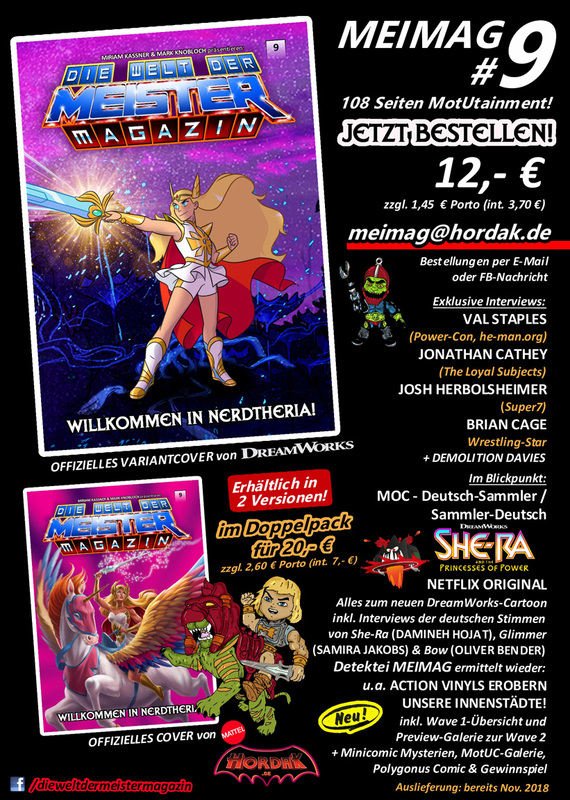 Die Welt der Meister is a German magazine aimed at MOTU fans, created by Miriam Kassner and Mark Knobloch. NOTE: It is only in German. It costs approximately €12.00 plus €3.70 shipping/handling, and they accept PayPal or bank transfer. You can choose your cover. Contact meimag@hordak.de to order.And click here to visit their Facebook page or their website.